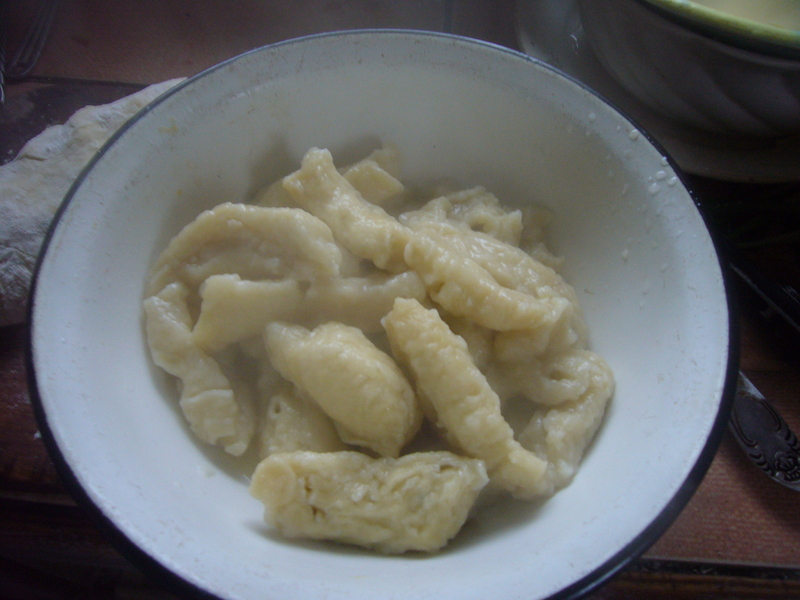 Making dumplings is a very traditional Ukrainian type of food. You can find other Ukrainian recipes in my blog: Borsch, Deruni, Sirniki, Trickled pastries soup. 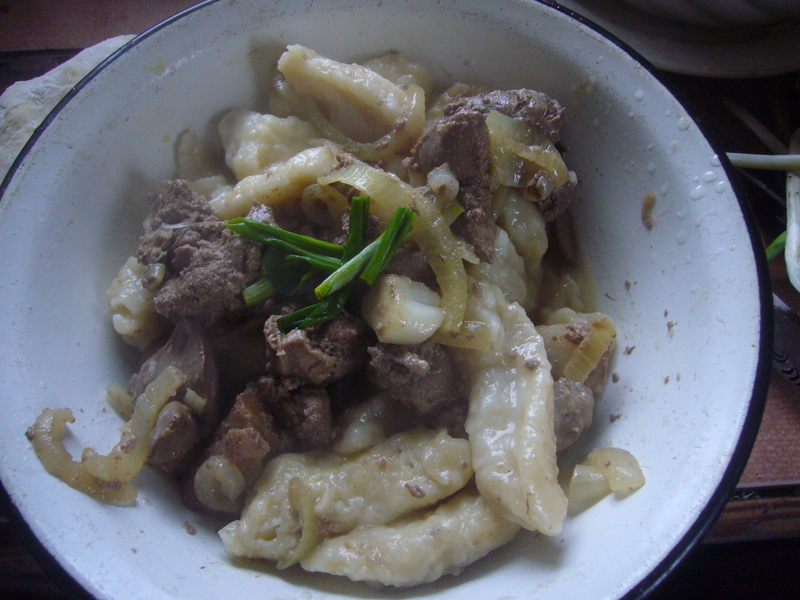 There are the famous Poltava dumplings and here is a quick and easy recipe for them. Mix sour milk with egg and add salt and soda. Mix in the flour. 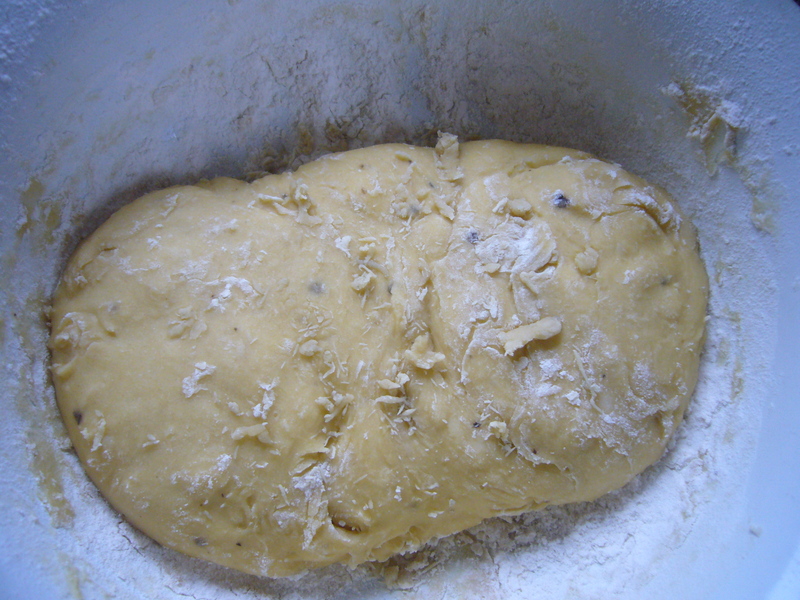 Add enough flour to mix a dough that does not stick to your hands, when you knead it. Leave it to sit in a warm spot for half an hour. Then you knead it again. You may have to add just a bit more of flour. You roll the dough between your palms to form a long ‘sausage’ stick out of it. Then you cut out small pieces of it. Set the water to boil, add salt throw in your Ukrainian dumplings, once it starts boiling. Once you get them out, you can serve them hot with butter or sour cream, or you can make a sauce or a dressing for the dumplings. I fried some chicken liver with onions to serve along with these. This entry was posted in Easy Recipes and tagged breakfast recipe, busy mom, cooking, cooking tips, dumpling, dumplings, easy cooking, easy recipe, eggs, ethnic foor, ethnic recipes, flour, food, housekeeping, liver, tips for moms, Ukraine, Ukrainian cuisine, Ukrainian dumplings recipe. Bookmark the permalink.